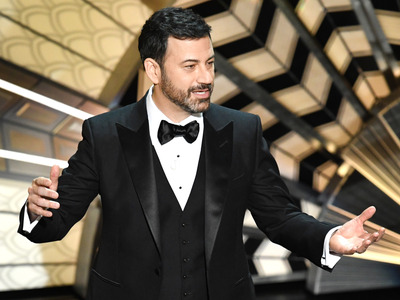 Getty ImagesJimmy Kimmel returns to host the Oscars for the second year in a row. The 90th Academy Awards airs Sunday, March 4 at 8 p.m. ET on ABC. You can only stream the Oscars ceremony on ABC’s website and app with a participating TV provider in a select list of markets, or through a subscription-based service. ABC’s red-carpet coverage, which starts at 6:30 p.m. ET, will be available to stream for free. The 90th Academy Awards airs Sunday, March 4 at 8 pm ET on ABC, with Jimmy Kimmel returning for the second year in a row as the ceremony’s host. Additionally, subscription-based services like YouTube TV, Sling TV, and Playstation Vue will also stream the Oscars through ABC. ABC’s red-carpet coverage starts at 6:30 pm ET and is available for streaming for free as “The Oscars: All Access,” through ABC’s website and app, and on Facebook Live. E!’s red-carpet coverage starts at 5 pm ET and will be available to stream on the E! website with a cable login.